Russia (MNN) – We’ve been following the progress of proposed anti-terrorism legislation in Russia. Yesterday, Putin signed the Big Brother bill into law. We asked for your prayers that the bill would be amended or vetoed as written. It appears that while Putin had until July 20 to sign the bill, the affirmative decision was made quickly. As we mentioned yesterday, while the law is presented as a means to thwart terrorism, there are possible implications that will threaten Gospel workers. Griffith says the law is meant to protect the country from further attacks from terrorists. For instance, he explains, anyone found to be financing or aiding terrorism will be severely punished, as will those who are actual participants. The sentences are 10 years to life in prison. Christians had been praying for the bill to be stopped because of what it could mean for evangelism in Russia. But, hope is not lost just because it’s been passed. SGA and other mission organizations are concerned about the anti-missionary clauses in the law. They are waiting to hear from the registered Baptist Union Church to find out how the law will practically affect them. From what we understand now, the law has been signed as last stated. Griffith says if it is enforced as strictly as it is written, there will be major problems for missionaries and anyone desiring to share the Gospel outside of their Church building. Ultimately it would limit the activity of mission work in residential areas and also that of foreign missionaries. Griffith explains that a lot of registered churches are small enough that they meet in residential buildings. A section of the law covering residential regulations could threaten that. “There are potentially very wide-sweeping ramifications to this law. It just depends on, again, how it is going to be enforced and that is a very huge question mark,” he says. 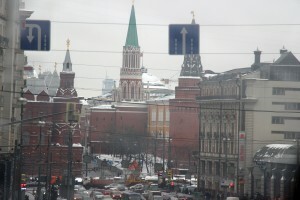 You can continue to pray for Christians in Russia. Pray that the law will not be enforced or interpreted as strictly as it is written. SGA is meeting and discussing how to respond, but they’re fortunate not to be independently working in Russia. “Our whole ethos and purpose is to serve the Church. And the Russian Union of Evangelical Christians-Baptists is registered with them. And our sole purpose for existence is serving those Churches,” Griffith says. It helps that they are working under a registered religious group. This new law is simply one more law since 1997 that Christians have had to cope with to do their work to share the Good News to the Russian people. While there are many ministries impacted by this, it seems time to consolidate our efforts in order to ensure that Christian encouragement and Biblical instruction will be available to every community in Russia, despite the restrictions on evangelism. NEW LIFE RADIO-Moscow is ready to help all evangelical ministries in this regard, and will continue to provide free airtime over its satellite, FM, and Internet radio channels to churches and ministries that have outstanding Christian apologetics and Bible teaching programming. Roughly 100 Christians in America keep this Christian network operating. We need the Church in America to help this group of radio missionaries in Moscow continue. See http://www.CRFR.org God is in control! This is nothing new. In the 1st century AD the Jewish and Roman authorities tried to stop evangelism; however it backfired, as it simply led to an increasing resolve on the part of Christians to obey the great commission. Once this law has been enacted there will be an increase in persecution which will lead to more converts – the blood of the martyrs is the seed of the church. Pray for law enforcers to interpret the law in a way that doesn't inhibit evangelism. 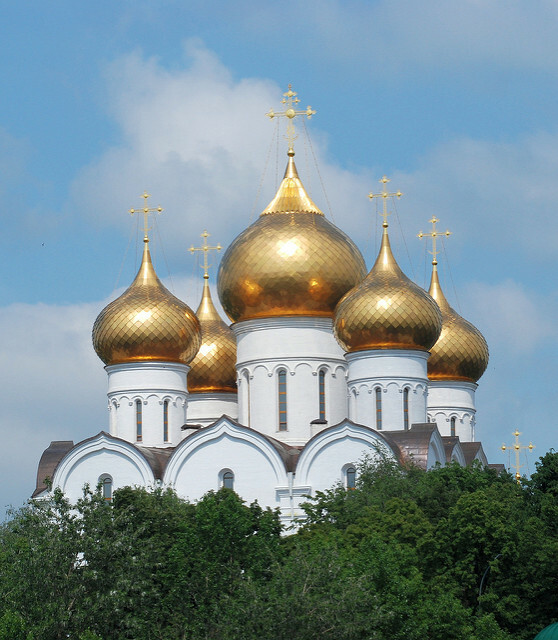 Ask God to guide the Church in Russia.